A major fire erupted on Monday near the Aarey Colony forest in suburban Goregaon in Mumbai, triggering an alarm as various agencies scrambled to douse the flames that threaten to affect the tribal residents in the city's biggest green lung. Fire department officials said they are trying to contain the blaze but the winds coming from the hills are aiding the fire and it is spreading to nearby residential areas. Mumbai's famous Film City occupies part of the Colony, which is located off the Western Express Highway. Chief Fire Officer Prabhat Rahangdale said the Disaster Management Control Room has been directed to inform all police stations surrounding the forest to prepare to evacuate tribal residents and cattle as and when the need arises. "Fire personnel are trying to put out flames with 'beaters' — the branches of trees that are being used to create a fire break, as they have no access to fire appliances," the officer said. Aarey Colony, which is spread over 16 square km, includes 12 villages. Rahangdale said fire vehicles are unable to enter the forested area due to lack of access. "However, we have managed to put two small hose lines into operation," he added. "Fire brigade has also roped in forest staff and volunteers to put out the flames using tree branches," he said. Rahangdale said the fire appliances are being diverted from the Film City to douse flames. "A total of 10 firefighting engines, seven JTs, three Quick Response Vehicles have been pressed into service. Apart from fire personnel, forest officers and Mumbai police personnel are also helping in putting out flames," he said. "Many big fire pockets that are located at far distance (in the forest) are brought under control with the help of fire beaters. 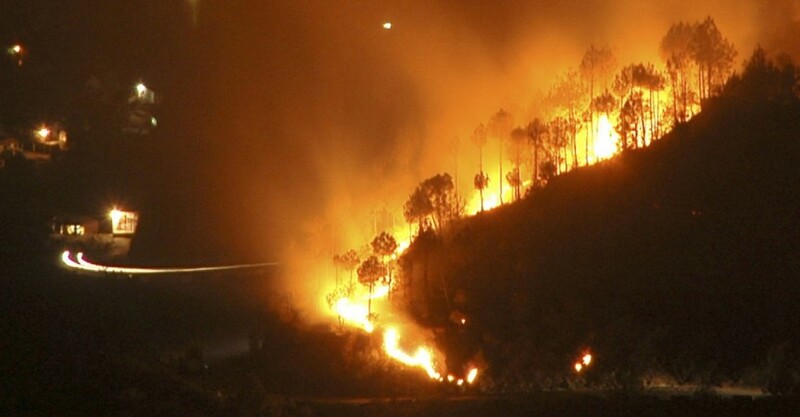 In such forest fires, open uphill wind results into rapid spread," he said, adding that four fire appliances and a jumbo tanker will be kept on a standby till morning.